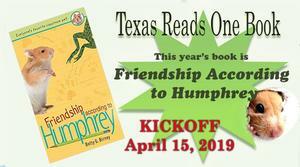 TOMBALL - Tomball ISD students in Grades 2-4 will join students across Texas in kicking off the fifth annual statewide celebration of literacy called Texas Reads One Book on April 15. 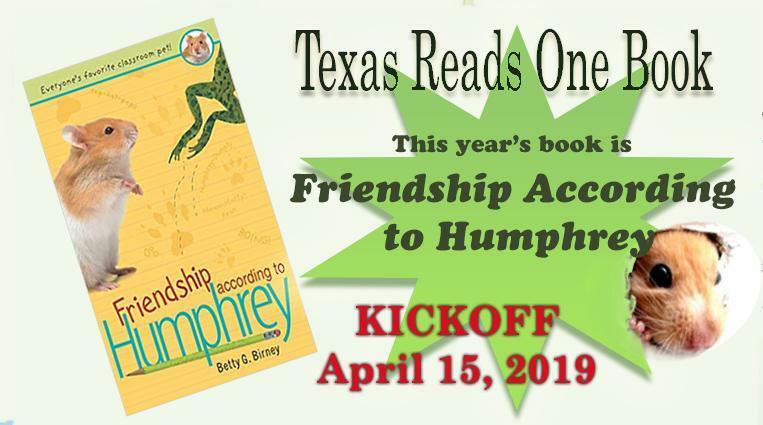 That day, students will gather at school to watch a video of Dallas Cowboys Head Coach Jason Garrett reading the first chapter of Friendship According to Humphrey. Then, for the next three weeks, the students will participate in lessons and activities related to the book at school while reading and discussing the book at home with their families. Leaders of schools that have participated in Texas Reads One Book rave about the change that happens when elementary families across their districts engage in reading and discussing the same outstanding children’s book at the same time. The program provides a powerful model for engaging parents because every student in participating grade levels receives a copy of the book. This encourages even reluctant readers and parents who don’t normally participate in school activities to get involved. Also, Spanish-language copies of the book are available for Spanish-speaking families. To learn more about Texas Reads One Book, CLICK HERE.